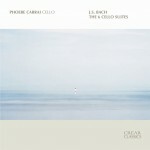 Phoebe Carrai, a native Bostonian, started playing the cello at the age of 10. 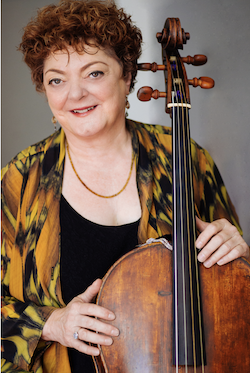 She fell in love with the Baroque cello and the Early Music Movement whilst a student of Lawrence Lesser at The New England Conservatory of Music in Boston where she earned both her Bachelor and Master of Music degrees. In 1979, Ms. Carrai won a Beebe Foundation Grant to undertake post Graduate studies in Historical Performance Practice with Nicolaus Harnoncourt at the Mozarteum in Salzburg, Austria. In 1983, Ms. Carrai joined the chamber music ensemble Musica Antiqua Köln and worked exclusively with them for the next ten years, touring and teaching in The United States, Scandinavia, Europe, Australia, New Zealand and South America. At that time she taught at the Hilversum Conservatory in Holland. Now living in the United States again, Phoebe Carrai appears both in chamber music and as an international soloist and performs with The Arcadian Academy and The Philharmonia Baroque Orchestra (Nicholas McGegan); Ensemble Arion (Claire Guillment), Les Musiciens de Louvre (Marc Minkowski) and The Handel and Haydn Society (Grant Llewellyn). She is a member of the faculties of the University of the Arts in Berlin, Germany and The Longy School of Music in Cambridge, Massachussetts. Ms. Carrai is also a founding member and co-director of the International Baroque Institute at Longy. 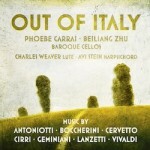 Phoebe Carrai performs on an anonymous Italian cello from c. 1690 and has recorded for Aetma, Avie, Deutsche Grammophon, Harmonia Mundi, Telarc, Decca and BMG.